Have you ever been afraid to run for fear of ruining your knees? A new study now suggests that running, in fact, may be good for them. Many people believe that the repetitive motion of running grinds down the cartilage in the knee, leaving it susceptible to injury and even arthritis, a common inflammatory disease of the joints. Researchers at Brigham Young University recently set out to study this unique relationship between knees and running. They evaluated 15 runners under the age of 30, while each ran for 30 minutes at a time. The most encouraging discovery was that after running, participants had lower levels (in their blood) of certain cells that lead to inflammation. 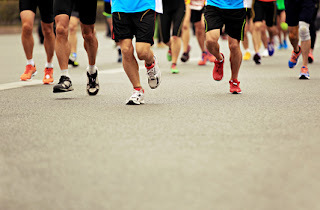 It was also noted that these runners had lower body masses of non-runners of the same age, thereby offering the knees some protection in carrying less weight around. While medical experts agree that this was a small study, it is a good indication that moderate amounts of running are healthy for the knee and could even offer some defense against potential injuries and early onset arthritis. If you are interested in starting a new running routine, remember to start out slowly, give yourself plenty of time to rest and recover between runs, and invest in some properly-fitting shoes. 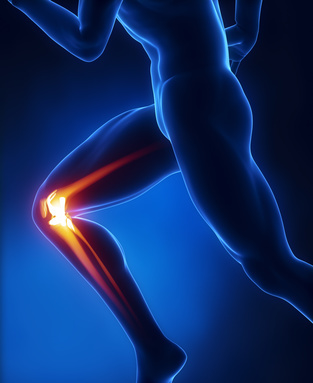 If you experience any pain in your knees as a result of running, please contact us for an appointment. Have you noticed how crowded the gyms are this time of year? It’s all those folks who made New Year’s Resolutions to get in shape. It’s great that so many people are working out. But injuries at the gym take place far too frequently, yet for the most part, are easily avoidable. Warming up is essential before any rigorous physical activity, especially if going to the gym straight from work where muscles are likely tight from sitting all day. A few yoga poses, light stretching, or a couple minutes of jumping rope will get muscles and joints loosened up and primed for the workout to follow. 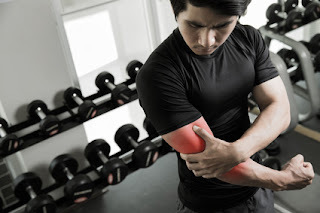 If you experience any sharp or traveling pain (up and down your arm or leg) as you work out, you need to stop. Pain indicates there’s damage being done. Take a breather, and check to see that you have correct form or are using equipment properly. If after making adjustments, there’s still pain, it’s time to quit. As much as you may love your gym time, it’s important to take a day off after three or four of going strong to give your body a chance to recover. Muscles need time to relax and heal after strenuous activity--not allowing them to do so will wear them down and leave you susceptible to injury. Take advantage of all that your gym has to offer by cross-training, or trying a new and different class/activity every so often. Doing the same workout over and over will backfire eventually and your body will stop producing results. Or, you’re likely to wind up with an overuse injury like tendonitis or shin splints. Running laps on the gym track is very different from taking a kick-boxing class. One requires a flexible, softer shoe (running), while the other warrants some serious ankle support for the high-impact jumping and side-to-side movements. Invest in a pair of cross-training shoes suited for several different types of activity to avoid foot and ankle issues. Finally, be careful when using free weights or other weight-related machines, as they are the cause of many gym injuries also. To wear a boot or not? That's a question people must ponder after suffering an Achilles tendon tear. The Achilles tendon connects the calf muscle and heel bone and can be easily torn/ruptured via a quick, twisting movement, or more commonly from a sports accident. It is a painful injury suffered by more than 30,000 Americans annually. We see our fair share of tears here at Texas Orthopedics. Treatment to repair the tendon usually involves either wearing a snug, removable boot or minimally invasive, microscopic surgery. If you're having trouble deciding which way to go—boot or surgery—new research shows that you’ll be A-Okay with either one. A recent study published in the Journal of the AAOS (American Academy of Orthopaedic Surgeons) suggests that both wearing an orthopedic boot or surgery are effective treatments rendering similarly positive results. 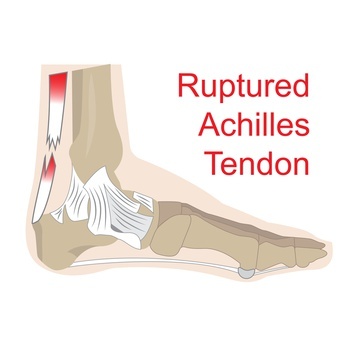 Today's modern, removable boots, allow for both temporary isolation of the tendon while also permitting the necessary movement as prescribed for rehabilitation. Current surgical repair methods are constantly improving and boast less risk of infection than ever before, as well as less recovery time following the procedure. When coupled with proper rehabilitation, both a boot and surgery report low instances of re-injury. No significant loss of ankle range of motion, or calf strength were reported with either boot or surgical repair. If you’ve suffered an Achilles tendon tear and are debating surgery or wearing a boot for treatment, please contact us to discuss both options with one of our physicians. Texas Orthopedics’ Dr. Zach Logan recently wrote a great blog on arthritis for the Senior Circle Newsletter at CPRMC (Cedar Park Regional Medical Center). Dr. Logan is fellowship-trained in adult hip and knee reconstruction. Arthritis, the loss of smooth function of a joint, can be painful. When it affects the hip or knee, it can be particularly debilitating as these play a large role in mobility. Unfortunately, arthritis is increasing, as levels of physical activity persist despite the aging of our population. Thankfully, there are treatments available to manage arthritis. For the most part, these are "symptomatic"; science has not yet found the regenerative miracle cure. There is no substance you can put in your body to regrow cartilage. Treatments like anti-inflammatory medicines, activity modification, physical therapy, weight loss, and injections are all aimed at decreasing the pain associated with arthritis. Eventually, these may no longer be effective. Once this is the case, the most reliable surgical option for most patients is total joint replacement, replacing the worn cartilage surface with an artificial one. This could be very effective in increasing function, decreasing pain, and returning to previous activities. Patients are often told they "need" a joint replacement. I say don’t view it this way. Joint replacements are "elective" surgeries, different from things like a stroke, heart attacks, or traumatic events. No matter what your x-rays show, if you have little to no pain, you generally don't “need” surgery. Knowing your options prior to undergoing surgery is crucial. But let's be honest, surgeons enjoy performing surgery. 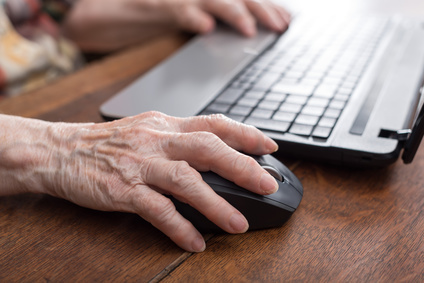 If your arthritis has been going on for a while, don't be surprised if it is recommended. Just make sure you understand the goal of joint replacement: pain relief. More than 700,000 spinal fractures and more than 300,000 hip fractures happen in the United States each year. Many of these are attributed to osteoporosis, or weakened bones. That’s a startling statistic not easily lost on a group of specialists in rehabilitative medicine at Columbia University. In 2005, they embarked on a comprehensive decade-long study to determine if yoga—which encourages greater flexibility and balance as well as better posture--might be an effective therapy for osteoporosis, and whether or not it could decrease instances of falls and fractures. The results were published in a recent issue of Topics in Geriatric Rehabilitation. 227 people (with diagnosed osteoporosis) participated in the study and were tasked with performing 12 specific yoga poses daily, or at least every other day. X-rays showed improved bone density in the spine and femur. Even when bone density did not increase, improvements in posture and balance were noted. There were no reported or X-ray detected fractures of any kind in the participants over the ten years. If you suffer from osteoporosis and would like to discuss a new exercise regimen, like yoga, to help manage your condition, please contact us for an appointment. A new surgical technology is now being tested that promises to heal the ligament better than ever before compared with traditional techniques. The ACL, or anterior cruciate ligament, is the stabilizing ligament in the knee joint. If it’s injured, playing sports – and even walking – can be downright painful if not near impossible. We treat ACL injuries all the time here at Texas Orthopedics. Sometimes physical therapy helps, but most often times, surgery is needed to repair it. A new procedure developed at Boston Children’s Hospital, known as the Bridge-Enhanced ACL repair (BEAR), has orthopaedic surgeons excited about its possibilities. The BEAR technique uses sutures and a special protein-enriched sponge placed between the torn ends of the ACL to promote healing. The sponge is soaked with the patient’s own blood allowing a clot to form and encouraging new tissue growth to mend the tear. Early results using this technique have been very promising, although it is still in an experimental phase and undergoing FDA testing. If this procedure becomes common, athletes can expect much smoother, and shorter, recovery times. If you have suffered an ACL injury and are considering repair surgery, please contact us for an appointment. 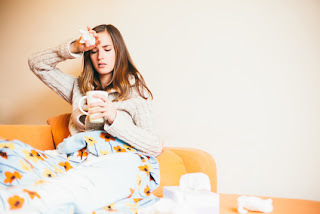 The old saying that you need to ‘starve a cold’ may not apply if you are still planning to work out through your coughs and sniffles. An interesting new study shows that consuming carbohydrates when you work out with a minor illness, such as a cold, may in fact boost your immunity. The recent research published in the Journal of Applied Physiology explains how exercise is a form of stress to the body, and when there’s stress, our immune systems kick into high gear. Add in the already present strain of a cold, and your system starts working double time to fight off the sickness. Additionally, things that go a long way in helping to combat cold symptoms include warm liquids like soups or teas, spicy foods, and any citrus fruits or vegetables known for their Vitamin C.